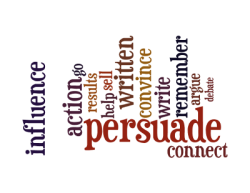 Stories and questions used together create the most powerful and persuasive tools in your toolbox of persuasion. We've all heard the statement that "facts tell, emotions sell". Stories and questions help the audience tap into their emotions and thus help to sell your ideas faster than any facts can ever do. Great leaders are great story tellers. Stories inspire people to take action. Learning how to ask the right questions and craft persuasive compelling stories is what this workshop is all about.